Employers in California are required to have workers compensation insurance coverage that will provide help to employees who get injured due to the job. The mandated coverage benefits are defined by the Labor Code and the administration of claims is further defined by the California Code of Regulations and case law created by judges. Some exceptions to the mandate that employers carry insurance include the ability of an employer to be self-insured so long as the benefits they provide meet the requirements mandated for workers compensation insurance by California law. Minus a few other exceptions, if someone sustains injury from work, they should be covered by an employer Workers' Compensation policy. However, knowing that the employer has covered is the simple part of the equation. The more difficult question is what constitutes an injury and how are benefits claimed and actually obtained by the injured employee. To understand this, one bust have basic knowledge of what constitutes a covered health condition and how the claims process is activated each step of the way. What Constitutes a Covered Injury under Workers Compensation Insurance? Sometimes injuries happen over time from repetitive work activities such as typing on a keyboard all day and developing carpel tunnel syndrome or lifting heavy objects day in and day out for many years and developing back pain. After performing repetitive work for a period of time, whether that be days, months or years, an employee's body becomes injured. This is known as a cumulative trauma injury and is covered. Those who have suffered from one of these types of injuries, should probably consult an experienced lawyer as soon as possible. The cumulative trauma injury is the insurance company's favorite type of claim to deny. Why? Because you as the injured worker cannot say as a matter of fact that the injury occurred on the job. The injury victim cannot point to one particular instance where they became injured such as falling down or picking up a heavy object. Instead, they just became injured from repetitive work activities. In cases of cumulative trauma injuries, which occur just as often as other types of injuries, an experienced attorney can gather the facts and help get the injured worker the medical documentation to recover benefits. If unsure whether an injury is covered or believe a compensable injury exists, contact Napolin Law Firm, Inc. to speak with Mr. Napolin personally, and he will provide the caller with a better understanding of the laws and how they could potentially apply. From there an informed and educated decision on whether to pursue a case with the help of an attorney. 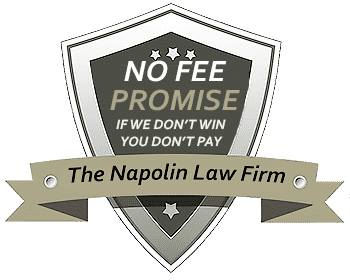 Mr. Napolin is available to speak with people for a free consultation all at no charge. In the event Napolin Law Firm is retained to to help work through the claims process, attorneys fees are only due if money is obtained by the firm on behalf of the client.